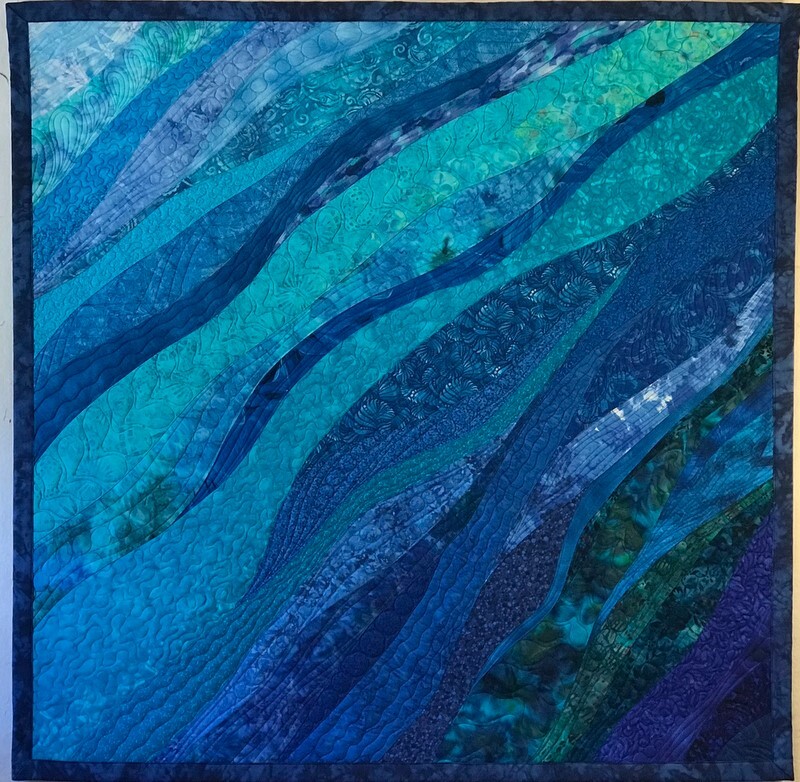 existing quilt design. 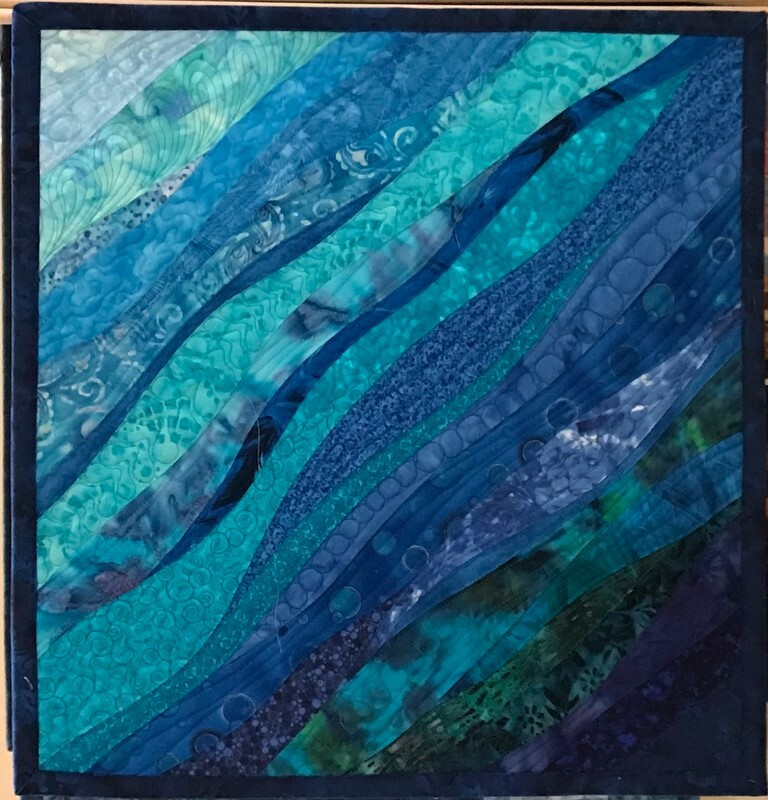 I have received positive responses to these custom art quilts but it is often a challenge to take a design and colors in a smaller quilt and make it larger. 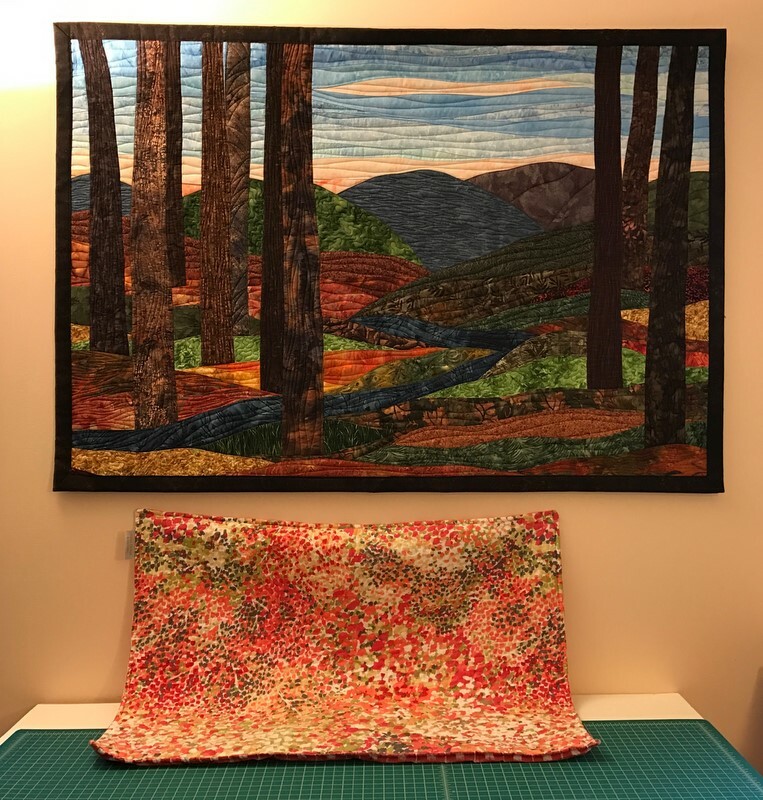 I have learned over the last six years in which I have been creating art quilts that I must remind any potential buyer that all my quilts are one of a kind without patterns. This means that while I will conform to the colors and basic design as much as possible, there will be different fabrics and the piecing will be unique but similar to whichever smaller quilt the buyer has seen. 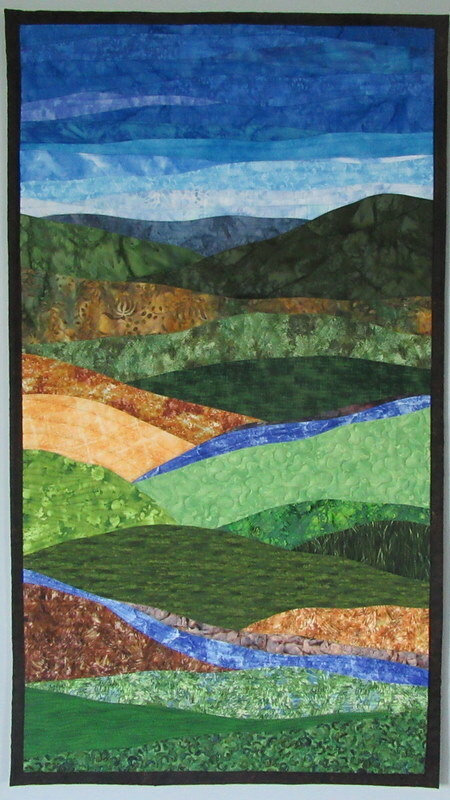 Often when enlarging an art quilt more is involved than simply making similar pieces in larger sizes. I like to have a variety of fabric sizes and patterns and to build colors and blend colors. Larger quilts always involve many more pieces of fabric. 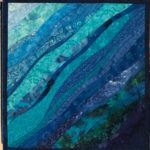 When making a larger mosaic quilt the number of additional pieces expands as the size expands as I keep my mosaic pieces all relatively small, around 2″ x 3″ or 2″ x 4″. Sometimes a custom buyer wants to have an art quilt match a bedspread or furniture upholstery or wall paint. When these requests are made I do not hesitate to ask for samples to be sent to me so I can match in living color and not to a photograph. 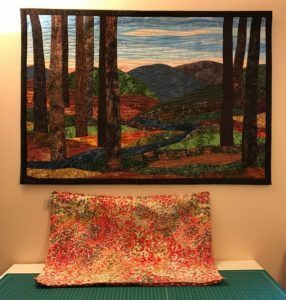 I recently made a tree landscape quilt which needed to match a beautiful but multi-colored bedspread. The buyer sent me the pillow sham from the bedspread so I could have it with me while creating her special quilt. 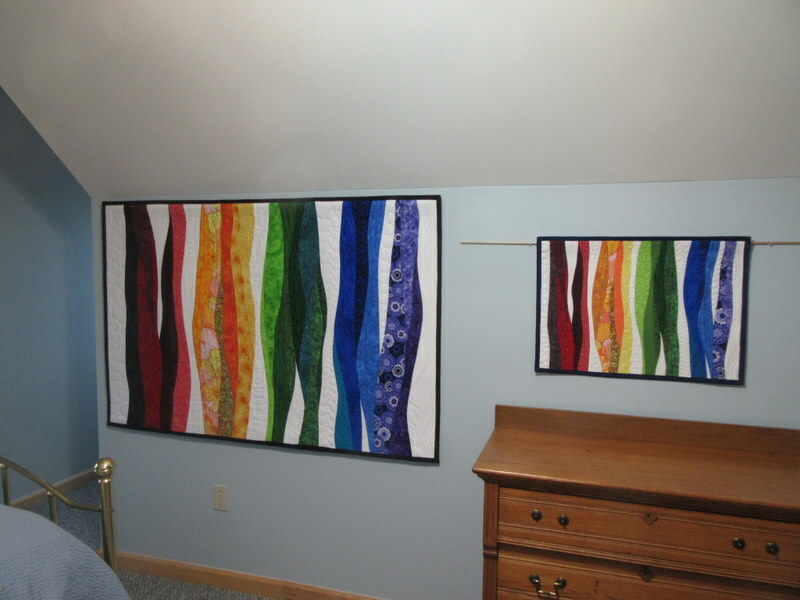 I’ve included a picture of her finished quilt with the pillow sham in the picture. Recently I made a custom quilt in which the buyer wanted a 40″x 40″ quilt similar to a 20″ x 20″ quilt I have in my Etsy shop. This was a custom four times the size of the original! 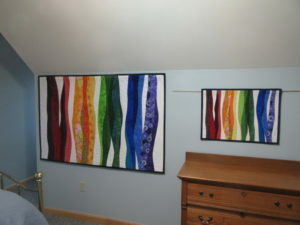 You can see the two quilts in my photos with their similarities and differences. The smaller is on the left and larger on the right. I enjoy making custom quilts but I won’t hesitate to tell a buyer if I think her request won’t work in larger or different layout. My sizes and shapes for different designs are actively chosen, not randomly selected, and custom quilts must meet my same high standards. You can see the different custom quilts I’ve made since 2012 in the CUSTOM QUILTS gallery on this website. 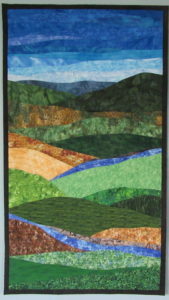 If you are interested in a custom quilt, please send me an email (sharonkoppel1@gmail.com) and we can discuss your ideas.